Georgia Power Washing, Sandblasting, Gutter Cleaning & More! 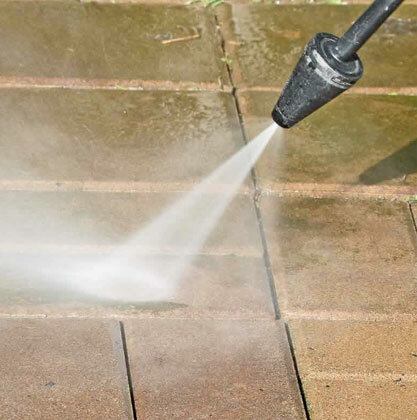 Our friendly, experienced staff at Big Moose Pressure Cleaning will help you with any project. We offer a variety of quality cleaning and restoration services to homeowners. Whether you need a quick clean up or a major make over, we’ve got you and your needs covered. Whether you are preparing your property for marketing or just keeping your property well maintained, we are here to help with professional cleaning services. We can do any job, big or small, and we’ve got the experience that it takes to be the best. Big Moose Pressure Cleaning knows that a clean business can attract more customers. Whether it’s just a one time cleaning or regular maintenance, we work with you to best fit your needs. 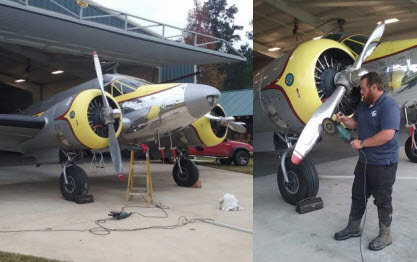 And we don’t just clean it, we restore it too. Do you have ugly oil or rust stains on your driveway? Need gum removal? Deck refinishing? We do it all, removing mold, mildew, dirt and discoloration! Call us now and see why Big Moose Pressure Washing is a 5 Gold Stars rated company on Google+. Big Moose Pressure Cleaning is proud to offer dustless sandblasting to our valued clients. We can remove dirt, debris, rust, paint and other contaminants from surfaces such as brick, stone, steel, concrete, wood and more. Contact us to schedule an appointment today! We offer high pressure and low pressure cleaning and we use State of the art mobile hot water cleaning equipment and also the latest in Soft Washing Techniques to help protect your property and investment. In fact, we use the best equipment and cleaning products in the industry. We know what products to use and when, what pressure and temperature to use and what cleaning techniques work best in each situation. We are licensed and insured for your protection and are available 24/7 for your convenience. We offer the Consistent Quality you can trust! Contact us today to talk about your next exterior cleaning project. Our professionally trained technicians will clean, sanitize and deodorize your curbside trash cans and recycling bins to make them look like new! 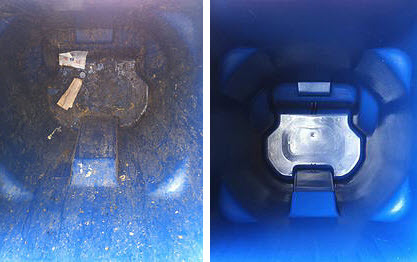 The end result is the look and smell of a new bin! We Polish Aluminum Fuel Tanks & Straps, Steer & Drive Axle Rims, Battery & Tool Boxes, Frame Steps, Grill Surrounds, Headlight Bezels, Complete Truck Polish, Aviation & Marine Polishing & More! In addition to Aluminum Polishing, we also Polish Stainless Steel, Titanium, Magnesium, Brass & Copper Metals. 5 GOLD STAR RATED COMPANY ON GOOGLE+ !